Professional experience of Dr. Pavlina Antoniou, Chartered Counselling Psychologist. Thank you for visiting my page. Here is a little something about me. I graduated from the American Academy in Larnaca in 2007 and pursued undergraduate studies in Psychology (Bachelor of Science) in the United Kingdom at the University of Essex between 2007 and 2010. After completing my first degree, I continued to a postgraduate and doctoral level and received my Professional Doctorate in Counselling Psychology (DPsych) from the Glasgow Caledonian University in 2014. My doctoral research focused on the identification of helpful and unhelpful therapeutic factors during the treatment of depression and was published at the Counselling and Psychotherapy Research. This study was inspiring to me as it motivated me to constantly search for what helps – and what doesn’t help – each and every one of my clients. My professional training incorporated humanistic and cognitive-behavioural interventions in a pluralistic context. This means that my work is based on the philosophy that each of us is different, with unique experiential processes, coping strategies and therapeutic needs. Embracing diversity and building on inherent strengths towards the road to empowerment and recovery is at the heart of what I do. I am committed to continuous professional development as it helps me learn more about the complexity of the human experience in so many ways. During my doctoral training I had the opportunity to practice as a counselling psychologist trainee in hospitals (NHS), schools, Universities, voluntary organisations and the private sector in the United Kingdom. My clinical experience includes individual and group interventions with anxiety disorders (i.e. social anxiety, phobias, panic attacks, etc. ), depression, bereavement, trauma, eating disorders, obsessive-compulsive disorder, self-harm and suicidal ideation, addictions, sexual dysfunction, chronic pain, bipolar disorder, personality disorders, relationship problems, low self-esteem, bullying, and many more. After successfully completing my Professional Doctorate, I became the Team Leader of the Psychological Service in a non-government organization in Scotland (CEA. ), which offers advice and psychological support to people affected by abuse, and also worked at the University of Glasgow in the position of a Counselling Psychologist and Clinical Supervisor. 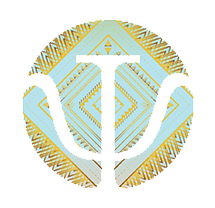 Upon my return to Cyprus in early 2017, I became a scientific collaborator with private Universities in Cyprus and offered lectures to undergraduate- and postgraduate- level Psychology students. I currently hold my own private practice in Larnaca, offering face-to-face and online psychological therapy.